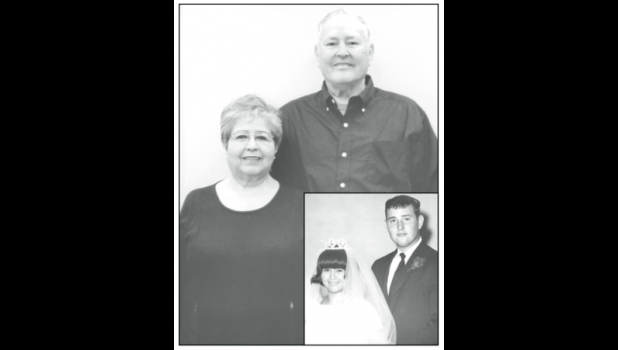 Bob and Tanya Hudson of Holton are celebrating their 50th wedding anniversary. Tanya Tork and Bob Hudson were happily married on June 16, 1967, at the Larkinburg Christian Church. They have two children, Wesley Hudson and Rachel Hudson, both of Holton. They also have three grandchildren, Kiana Jessepe and Josie and Mylie Hudson. The couple plans to celebrate their anniversary at Niagara Falls this summer. Cards may be sent to 2833 Allen Rd., Holton, KS 66436.